Ok, so it’s been ages since my last post and with good reason. I had been in the middle of moving to a new house and my goodness! It was very difficult this time around. The last time I moved was almost 2 years ago and it was decidedly easier then. I am assuming this is because I really did everything from scratch by myself this time around as opposed to having help from my family the first time. Anyway, from my previous post I recall mentioning that I was considering moving a ways away from when I used to live because I found the area nicer, aesthetically, and more peaceful. Well, this is where it all went wrong. So I spent a whole day in the area looking for possible houses and here started my spending. I needed to rent a van because I don’t own a car and this was expensive. We viewed a total of 7 houses and only 2 were nice enough to consider. The rent, at first, also seemed doable. It was when I was staring at my spreadsheet and doing my budget projections did I realize that both houses were out of the question and not because of their rent but because of all the expenses that come with living in an area. So, I have created a short list of ‘real considerations’ when thinking about moving. This is important because you do not consider transferring from where you are to somewhere worse. As much as possible, always make the move be to a better place. This is where things become subjective because ‘better’ is different for everyone. Some people think that the beauty of a neighborhood makes things better; some think it is in the neighbors themselves; some think it is the crime rate; some think it’s how urban or rural the area is. For me, it is about peace and safety. In Manila, you can live in very quiet, private subdivisions but pay a whole lot, or live in vibrant, alive corners and not pay as much. I wanted a happy middle. Whatever your criterion is, make sure it is something substantial and something you really count as important to living. This is really important and this is what ultimately made me change my mind when it came to the big move. Cost of living is basically what you spend in actuality to make living in an area possible. So, this includes what you spend on groceries from your local supermarket, what you spend on cooking gas, what you spend on commute to work, what you spend on taxes, what you spend on schooling for your kids (I you have kids) or for yourself (if you are studying). Where I live, private schools are still considered better than public schools and tuition fees for these schools vary so it is important to find one that will fit your budget and still fulfill all your desires for your child’s education. This is all the more important in a single income household like mine. While number 1 may be a positive, while you may think you have found the perfect house, this can fall apart if you find you ultimately cannot afford to live in that area. Now, this is simple and can be connected to points 1 and 2. Questions that may fall under this point are: How far is it to your place of work? How hard is the commute? How far is the nearest hospital? How far is the school? Is there a local market? Are there 24/7 drug stores? The list of questions can also change depending on what you term as resources and how important these resources are to you. After looking at these three points, I was able to conclude that my first plan was a bad idea. So, I changed course and did a new search and discover session for a house in the general vicinity of where I used to live but better. This is how the move turned from a simple 2 week exercise to a whole month! And we aren’t even finished because, even if we have moved, we haven’t completely set ourselves up to be a fully functioning, smooth running household. But that is another post. 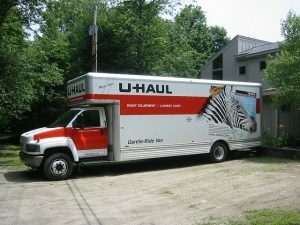 What are your considerations when moving? Are they different from what I stated?